Improved economic outlook following the series of progress recorded across the Nigerian economy bolstered economic attractiveness in 2017. The economy attracted a total investment inflow of $68.5 billion (N20.89 trillion) between 2013 and 2017, the National Bureau of Statistics reported on Friday.The report showed investment inflows were from three main sources; Foreign Direct Investments, Portfolio Investments and other investments like credits, loans, currency deposit and other claims. Breakdown of the report revealed that investment inflows surged from $20.83 billion in 2013 to $20.76 in 2014 but declined by more than 50 percent in 2015 to $9.65 billion due to the global oil glut that eventually plunged the nation into its first economic recession in 25 years. The report showed investments decrease even further in 2016 to $5.1 billion during the height of the economic recession and low dollar liquidity. However, the positive economic outlook following Opec and non-Opec agreement in November 2016 to cap production and the series of policy instituted by the government to aid economic recovery saw investment inflows rising by $7.1 billion to $12.2 billion in 2017. The report also noted that portfolio investment contributed the most with a total inflow of $47.4 billion within the five year period. While other investments like trade credit, loans, etc added $14.11 billion. Foreign direct investment comprises of equity and other capital had inflow of $7.03 billion. Ambassador Chiedu Osakwe, the Trade Advisor to the Minister of Industry, Trade and Investment and Chief Trade Negotiator for Nigeria said contrary to widespread belief that Nigeria is not an attractive investment destination, the report shows global investors still find Nigeria attractive. “The interest by foreign investors in the Nigerian economy is the highest that we have seen since 1979. The question we ask ourselves is, why? And the answer is based on the scale of the Nigerian economy, the opportunities of the economy and the growth potential,” he added. The manufacturing sector has been expanding for the last 12 months with inflation rate gradually moderating from record high to 13.34 percent in March. 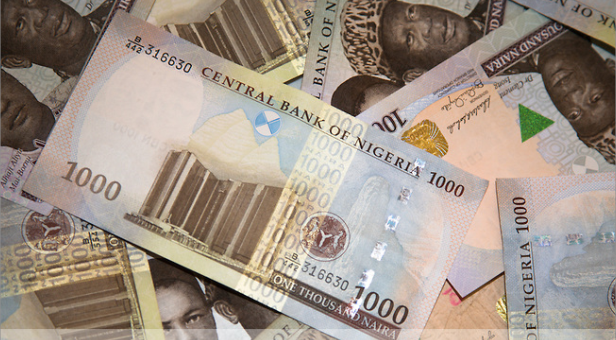 Therefore, it is normal to see a surge in business confidence and capital inflow, said Samed Olukoya, a foreign exchange research analyst at Investors King Ltd. However, it is important to broaden growth by adjusting monetary policy to reflect current progress and encourage more local players in national building, Samed stated.